Sherry @ Coocoo4coupons is having her first giveaway! Let's all go to her blog and comment so she'll have a good turn out for the giveaway! 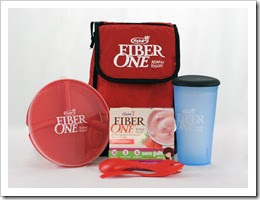 Fiber One has paired up with My Blog Spark to offer a Giveaway to 3 of her lucky readers!!! Yoplait Fiber One product is carried in a pack of 4 and you can indulge in a variety of yummy flavors such as Strawberry, Vanilla, Key Lime Pie, or Peach. It is only 50 calories and 5 grams of fiber per cup! !